It's about time I started talking more about what makeup I'm loving and wearing on a day to day basis or specific makeup looks I've tried and loved. Back on New Year's Eve I dressed up to stay in and realised afterwards that all the makeup I used was matte - a rarity for me as I do adore shimmering eyes and sheeny lips. However I absolutely loved the look and I've worn it quite a lot since. This is what makes up my current matte makeup menu. Many of you can probably guess my foundation before I say it - the Vichy Dermablend Foundation (review). Being full coverage it gives me an almost flawless finish without looking heavy and unnatural. There's no dewy or even slightly satin finish with this - it's properly matte and having an oily t-zone, I like it very much. I then concealed my dark circles and any redness still peeking through with the NARS Radiant Creamy Concealer (review), which is just the best concealer I've ever tried. To set this all in place I used the Green People Pressed Powder (review). It's very fine so doesn't add too much colour and finishes a matte base off nicely. After last summer it took ages to wean myself off of cream blusher, but now I'm firmly back on the powder wagon with the gorgeous Frat Boy Blush by theBalm (review). This peachy pink powder contains no shimmer and packs one seriously pigmented punch. I only need to swipe the brush lightly across the pan twice to get a beautiful flush on both cheeks. The eyeshadow that's opened my eyes to the wonder of mattes is the Urban Decay Naked Basics Palette (review), which contains five neutral matte shades and one demi-matte shade. The lighter shades are perfect for daytime and the darker shades can create a gorgeous brown smokey eye. I use Naked2 (taupe) all over the lid and apply Faint (dusty brown) to the outer corner and along the crease and then blend, blend, blend. Then I take the Crownbrush SS006 Deluxe Angle Liner (review), dampen the edge and pat into the darkest shade Crave (black) to apply it as an eyeliner across the upper lash line. This method works so well - you still get a really pigmented line but it's a lot softer than using liquid or gel. I then finish with a few sweeps of the Bourjois 1 Seconde Mascara in Ultra Black for thicker, darker and longer lashes. I'm currently having a moment with the Maybelline Brow Satin in Dark Blond (review), which is a double ended pen with a soft, waxy crayon on one end and a powder that's dispensed via a sponge applicator on the other. I use the pen to define the shape of my brows and fill in any gaps, then set and add some extra colour with the powder. This equals a defined but natural looking set of brows. After hearing that the Rimmel Exaggerate Automatic Lip Liner in East End Snob was a dupe for the Charlotte Tilbury Lip Cheat in Pillow Talk, I snapped one up pretty quickly. I don't really own any matte lip products, so this dusky pink liner makes a really nice change. The colour looks gorgeous on its own and lasts a good few hours - I just make sure I use lots of lip balm beforehand because it doesn't have the most hydrating formula. 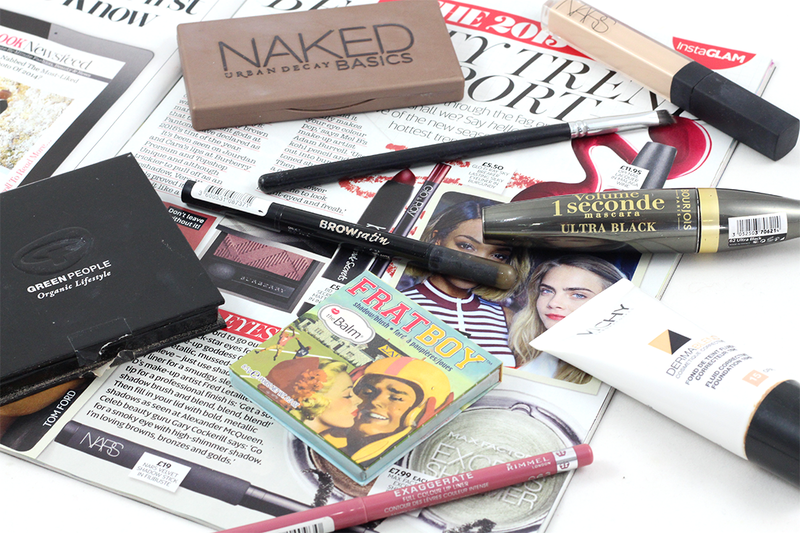 What products are on or would be on your matte makeup menu? Hahaha I'm stuck on cream blusher at the moment too. I have no plans to wean off that! Lovely post. 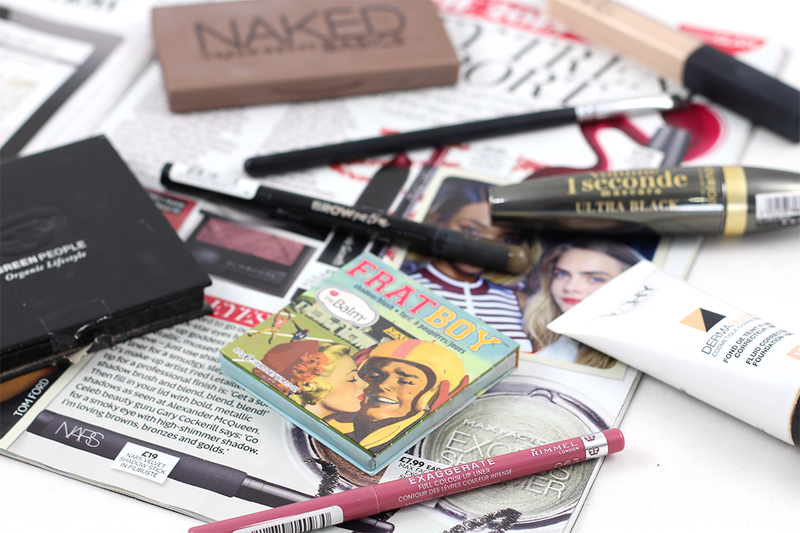 This is just my kinda post...I am a matte girl without a doubt. 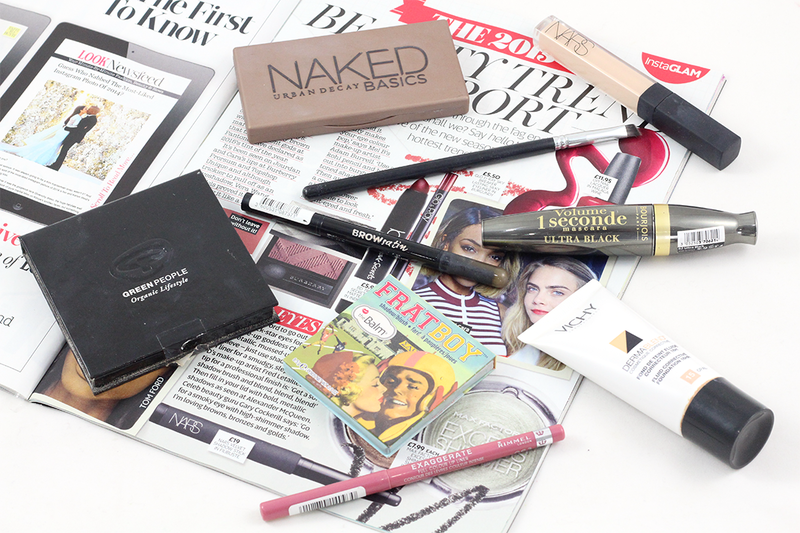 Plus you've picked out a few of my favourites, especially the mascara! I absolutely love that NARS concealer. It's my favorite! Great selection - I love East End Snob! I need to get round to buying that foundation! My other Vichy one does give a dewy look. Fab post, I’m really loving East End snob - it’s such a gorgeous shade and an absolute steal!